A Licensed Nursing Assistant (LNA) works under the supervision of a registered nurse, licensed practical nurse, or physician. By assisting patients/residents with daily living tasks, an LNA plays a critical role as a member of the healthcare team. Typical responsibilities include feeding and transferring patients, taking and recording vital signs, and assisting doctors and nurses with medical procedures. LNAs spend a great deal of time with patients, giving them important social and emotional support. They are the first to notice if something is amiss and can report vital information to doctors and nurses. A prospective LNA must complete a nursing assistant education program in accordance with the NH Board of Nursing requirements and take the licensing exam for placement in the Nurse Aide Registry. LNAs work in long-term care facilities, patients’ homes, and hospitals. The LNA program at LNA Health Careers prepares students for a career in the healthcare industry through the use of videos, hands-on participation, interactive games, and class learning. 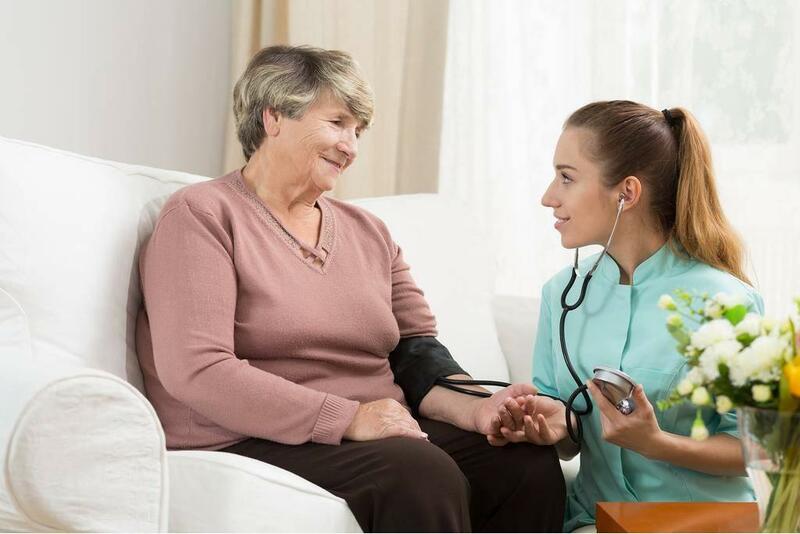 The curriculum comprises of 110 hours of training divided into 50 hours of classroom and lab and 60 hours of clinical experiences in a skilled nursing facility. LNA Health Careers conducts training in more than 12 facilities throughout New Hampshire – an up-to-date schedule of classes and location is available on the school’s website. Applicants to the Board-approved program must be 16 years or older and earn a passing grade of 70 percent and above on the pre-entrance exam. Applicants must also be free from any felony convictions and pass a criminal background check. Applicants, whose primary language is not English, may need to demonstrate English competency. LNA Health Careers offers flexible day, evening, and weekend classes, experienced nurse instructors, small class sizes, accelerated class schedules, no additional fees for the state exam, tutoring assistance, job placement assistance, and a fully staffed admissions office. CPR training is available for a discounted additional fee. The total cost of attendance is $1500 including the tuition, registration fee, supplies, criminal record check, and state test. Med Pro Educational Services offers prospective students an opportunity to become an LNA in a rapidly growing field. The NH Board of Nursing approved training program features small class sizes, experienced registered nurse instructors, flexible class schedules, and a record of high success rates on the state certification exam. The curriculum comprises of lectures in the classroom, skills demonstration in the lab, and supervised patient care activities in a long-term care facility. Applicants must be 16 years or older with no felony convictions. A TB test, immunization (MMR, Varicella, TDaP, and Hepatitis B), CPR, and insurance are also required for participation in the clinical experience. The state exam fee is included in the tuition. Multiple payment options and plans are available for all students. Med Pro assists successful students with job placement at the conclusion of the training. The American Red Cross prepares nursing assistant students for the career opportunity of a lifetime by creating a program that supports learning and development in the healthcare industry. Apart from developing patient care skills, students acquire job-related skills that are crucial to their success. Skilled instructors use presentations and seminars in the classroom, repeated skills practice in a simulated medical environment, and supervised patient care activities to prepare students for the state’s written and skills and employment in acute care, long-term care, and home health care settings. The curriculum emphasizes the quality of life and safety for all patients. The 150-hour training includes learning in the fundamentals of nursing, basic patient care, medical terminology, communication skills, basic math skills, basic human anatomy, and caring for patients with Alzheimer’s disease. The ARC offers flexible day and evening classes to meet students’ needs. Prospective students must first attend a mandatory information session – up to date schedules are available on the ARC website. Enrollment criteria include a personal interview and screening exam, immunization documents, TB screening, a criminal history check, a physical exam, and drug screen. Tuition cost $585 and includes CPR and First Aid certification. Clinical Career Training’s Nurse Assistant program is approved by the NH Board of Nursing. The facility based training targets those in rural areas by providing affordable and quality preparation to become a Licensed Nurse Assistant. The class size is limited to 6 to 8 students to allow personalized attention and student participation. Instructors use a hands-on approach to training in the classroom, lab, and clinical sites to help students develop valuable skills that will serve them well in real-life situations. Applicants must be 16 years or older. The school requires a completed application, a minimum score of 75% on the pre-entrance exam, a negative TB test or chest x-ray, a criminal record release form, a report of a physical exam signed by a licensed physician, and a photo ID. A positive criminal record could affect a student’s ability to participate in the clinical experience. The course fee is $1,325 with full payment or $1,375 with flexible payments. The price includes tuition, liability insurance, state examination, and the course textbook and workbook.